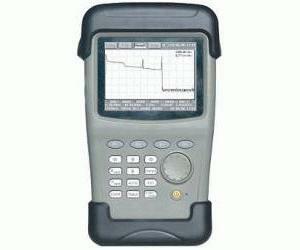 The OTDR model GAO3620 is a handheld instrument that shows the length, attenuation coefficient, connection point, fault point, and loss distribution curves of the fiber, as well as loss between two points, splice loss, and return loss. Despite its multiple functions and features, the GAO3620 is small in size, easy to use, and is durable enough for outdoor operations. It is widely used in loss characteristics analysis and fault point searching for fiber manufacture, installation, and maintenance. The handheld OTDR is compatible with CATV, ISP, and Telecommunications Fiber Networks.